Take advantage of the following tips and learn how to troubleshoot various issues. Worried about a malfunctioning spring, opener or remote? Let us fix it professionally and quickly. 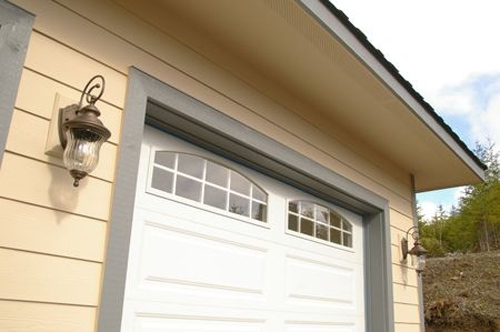 Our skilled technicians at "Garage Door Repair Melorse Park" work with all types of doors and electric operators. This problem indicates that the opener is set to lower the door beyond the level of the floor. In this case, when it hits the ground, the safety reversal mechanism is turned on and the door is lifted up again. The resolution of this problem involves the resetting of the closing travel limit. Adjust it to a higher position using the screw or knob at the back of the motor unit. These cables run through the springs. They work to hold the split parts in case of breaking. Otherwise, a portion of the spring may shoot out across the garage and cause damage or hurt someone. Make sure that the cables are not frayed or cut. They should be straight and tight. This is crucial since decay is very quick to spread. The repair involves removing the damaged material and filling the holes. The use of the right type of sealant is of great importance. When the panels are extensively damaged, the best solution is for them to be replaced. Most doors now come with a bottom seal or at least with a retainer. You should also use seals for the sides and top of the door. Choose ones that can withstand the damaging impact of outdoor weather and stay securely in place for a long time to come. Watch out for wearing as well as for different types of damage such as scratches, bending and chips. Pay close attention to the cylinders that hold the roller stems. If they are worn, they will be oval rather than round. Worn and damaged parts require timely replacement. The same applies to broken and missing bolts. The safe level for the installation of the wall button and the wireless keypad is five feet above the floor. When this requirement is met, small children will not be able to reach the controls and play with them to pose a risk of an accident. In general, it pays off to explain to youngsters the dangers of operating the overhead door. It is best if you do not leave kids in and around the garage without supervision. If you have a wooden garage door that does not have a rubber stripping at the bottom, our professional technicians at Door Professionals in Melrose Park suggest that you have it sealed. It would also help if you repaint the door to have a fresh look. Finally, be sure to install garage weather-stripping to enhance room insulation. The location of your garage door opener is very important. Your opener switch must be placed high enough to prevent children from pushing it. There must be no obstruction with the opener and the garage door clicker signal. This will ensure smooth operation of the opener. 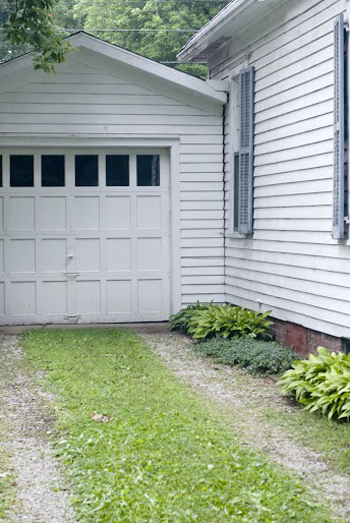 Remove any branch near your garage in order to achieve this. Your choice of a garage door panel and frame can influence the amount of electricity you consume so be mindful of your choice. During winters, if you have a non-insulated garage door with steel or aluminum frame and panel, our garage door experts say that you will consume more power if your garage is covered by your central heating system. Whether you need to get a new garage door or components, taking good measurements is vital. In a different case, you might end up with the wrong size door and parts. Learn how to measure the garage area and each component so that you can order the right ones. Today, garage door opener accessories are very helpful but get the advice of our professionals and invest in devices you really need. Although a backup battery is useful to everyone, installing a device for operation via internet if you never move from the house is a luxury. Even if a garage is not covered by the central heating system, it’s advisable to insulate it especially if it composed of glass panel, aluminum, or steel. Insulation provides protection from both extreme heat and cold. It creates a protection against excessive temperatures that can also affect the operation of the garage door opener.